Being a pet parent is a big responsibility but thankfully, it doesn’t have to be so difficult all the time. After a long and tiring day at work, all you might want to do is to sit back, relax and spend some quality time with your pet at home. But sadly, there’s a list of mundane chores that need to be done and they usually end up leaving you with no time for fun and rest. 1.) Time and Convenience – We all live busy lives, and don’t always have the time to run across town to the nearest pet store to purchase a bag of kibble. Shopping online to purchase dog food can be done from the luxury of your own home and can be done anytime of the day. Having the food delivered to our front door is quite convenient as well. 2.) Selection (Variety) – Another advantage of buying online is the selection you can find from one site to the next. Many online dog food companies will offer various products, both kibble and wet, that you can’t find at your local pet store. 3.) Lower Prices/Better Deals – Purchasing dog food online may come at lower cost to pet owners as well. Shopping online allows the freedom to compare prices, look for sales, as well as receiving free shipment in some cases. All of this can be accomplished without ever leaving your home. 4.) Auto-Order – Most online companies give you an option of selecting a specific date in which your order will be automatically shipped to your home. For example, when you purchase a large bag of kibble at an online site, you have the option of letting this company know that you would like this product shipped (automatically) on a specific date bi-weekly or each month. The online pet food company simply charges your credit card already on file with them. The good news is that there are plenty of stores online that can save us from all the trouble. No matter what kind of pet food your dog requires, the internet has a vast number of options for you to choose from. And the best part of it all? It gets delivered right at your doorstep so you can say goodbye to cumbersome sacks of kibble forever. When choosing an online service for your dog’s meal, it’s not just about speedy delivery and competitive prices. The shop must also have a good reputation for providing top-quality and trustworthy brands of dog food. Below are some of the online stores most pet parents trust. Whether you’re looking for a certain brand or something fresh and homemade, there’s bound to be a shop that can cater to your needs. Amazon If your pet’s kibble of choice comes from a popular brand of dog food, the best place to purchase them would be Amazon. Amazon is an e-commerce giant serving millions of people across the globe. The great thing about utilizing Amazon to purchase dog food online is the fact that you can also see reviews from previous customers. Not only do you have access to almost every brand there is, you also get to read unfiltered and honest comments of other pet owners. PetFlow Don’t you wish someone could deliver your pet food automatically just before you run out? If so, you’ll love PetFlow’s auto-ship services. Choose how frequent you’d like to receive your dog’s kibble between 2-16 week intervals. Of course, one-time purchases are also available if you’re still looking for an option that is suitable for your pet. The good thing is PetFlow also offers over 100 different dog food online – most of them grain-free and allergy-free as well. The Farmer’s Dog Eating organic and all-natural isn’t just limited to human health. Knowing where your dog’s food is from is essential to assure your dog’s safety. The Farmer’s Dog offers fresh, natural and personalized kibble. After filling up a form on your dog’s information, The Farmer’s Dog will then create a custom recipe suitable for your pet’s dietary needs. Their custom kibble usually comes in three main flavors: turkey, beef, and chicken. All of their food ingredients are AAFCO-approved and are said to be human-grade as well. Apart from personalizing dog meals, The Farmer’s Dog will also prep your dog’s meal portions according to their profile. Don’t misunderstand me, there are literally hundreds of pet online stores that are available to you as a customer. Of the three mentioned above, I have personally used Amazon and PetFlow to purchase food and supplies for my dogs. Both are reputable companies with an outstanding reputation that provide a variety of choices to pet owners. As my day became more and more busier with work and making improvements to my home, I found it more and more difficult to find the time to run across town to the nearest pet store. Finding a company online that carried my favorite brand and one that I trusted took some time. Well worth the time! I was able to find a specific product that met the needs of my dog(s) that was delivered to my front door in just a day or two. No more running across town, standing in long lines, or carrying a heavy bag of dog kibble to my car. Furthermore, I use the Auto-Order feature and never find myself running out of food for my pets. Are There Cons To Buying Dog Food Online? If you were to read reviews of pet owners who have purchased food online you will receive a mixed bag of results. The same can be said for any product purchased online. Some are very happy with their purchases, others not so much. Let’s take a look at some of the cons associated with buying pet food online. Shipping Costs – These costs can add up quickly depending on the dollar amount pertaining to your purchase price. Buying a bag of kibble for $30 may cost you an additional six to twelve dollars in shipping costs. Many online stores offer free shipping when the purchase is or exceeds the $50 total. Personal Touch/Support – If you are someone who enjoys the experience of talking with someone face to face, then online shopping is not for you. 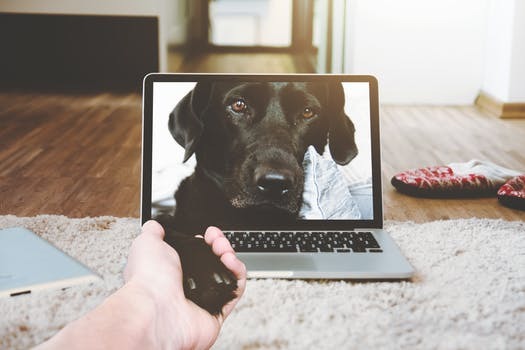 Although some dog food online sites actually offer support with ‘chat’ services, it still doesn’t have the personal touch some shoppers enjoy. Security – There is always the risk of identity theft when shopping online. Criminals out there looking to steal your credit card information is unfortunately a real issue and one on the rise. Using cash to purchase your favorite brand of dog food is not an option to online shoppers. As mentioned earlier, there are a number of dog food online sites that are available to you in the purchase of products for your pet. I would suggest that you spend some time visiting these sites to see what they have to offer to compare such things as pet food brands, price, shipping costs and special offers. I have used Amazon for some time now, as I feel they have some of the best prices when it comes to bags of kibble and usually receive free shipping with my orders. Obviously, Amazon is one of the best online sites you will find and is trusted by millions all over the world. 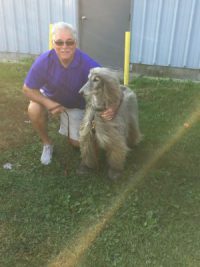 I hope you have gained some insight with this article and now feel more confident with your purchase of dog food online. Please feel free to leave a comment below to detail your experience in purchasing pet food online. Thank you for visiting and I look forward to reading your comments. ← Alpha Dog Food: Is It Right For Breeders And Animal Shelters?